A glass of milk and a biscuit at bedtime may be responsible for a string of health problems in children. 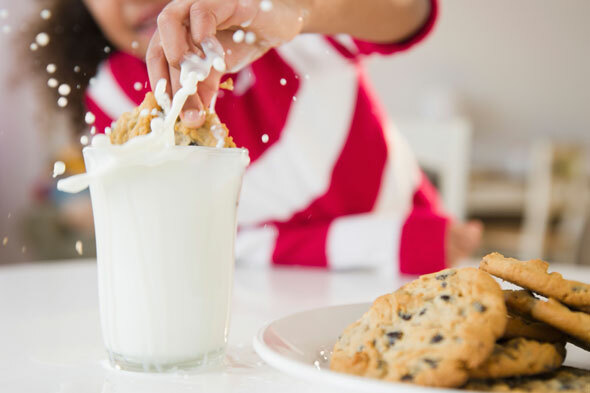 Dubbed the 'milk and cookie disease', American doctors say the combination of sugar and dairy late at night is believed to be the cause of many childhood ailments, including running noses, coughs, sore throats, constipation and fatigue. Dr Julie Wei, a pediatric otolaryngologist at Nemours Children's Hospital in Orlando, Florida, made the connection after treating numerous children with the chronic symptoms. She asked her patients to stop eating dairy and sugary products before bedtime and found that their symptoms quickly improved significantly. Dr Wei has called the condition 'milk and cookie disease' and suggests that up to 75 per cent of American children who are otherwise healthy may be suffering from it. The mother of one patient, five-year-old Jonathan Giambrone, said she has seen a significant improvement in her son's health since she stopped him from snacking late at night and only gave him water before bed on Dr Wei's recommendations. Becky Giambrone told Fox News: "It was really hard for him to take in a breath; he sounded like Darth Vader. In a three week period, we noticed a substantial difference." Dr Wei recommends that children shouldn't have any snacks or any drinks but water up to two hours before bedtime to avoid food sitting in the stomach.